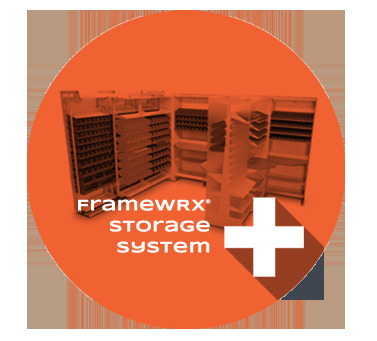 COMMERCIAL MODULAR STORAGE SYSTEMS FROM SPACESAVER ARE DESIGNED WITH FLEXIBILITY IN MIND. 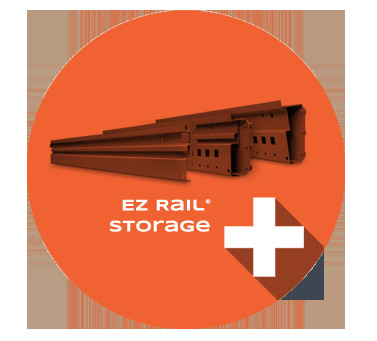 Both the FrameWRX® Storage System and the EZ Rail Element® are modular storage systems that are made up of vertical frames and horizontal rails that provide flexible, reconfigurable storage solutions that are able to change on the fly in your commercial space. 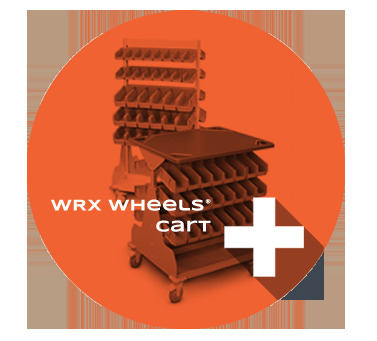 The modular rail and frame concept allows for bins, shelves and other accessories to be arranged in any configuration in order to increase user visibility, ease of access and supply organization. Modular storage systems from Spacesaver have proven successful in a variety of commercial spaces from pharmacy environments and military armories, to bookstores and industrial maintenance rooms. © 2018 Copyright Spacesaver Corporation. All Rights Reserved.